Route 66 landmark has returned! 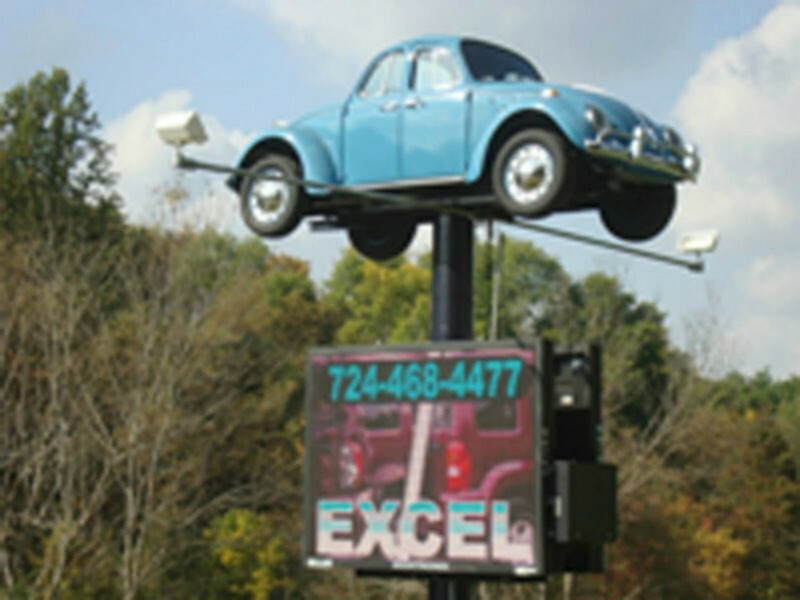 Residents and travelers will no longer have to miss the Double front VW Beetle that has sat high on its 20 foot pole anymore. After a complete restoration the VW is back in all its glory. 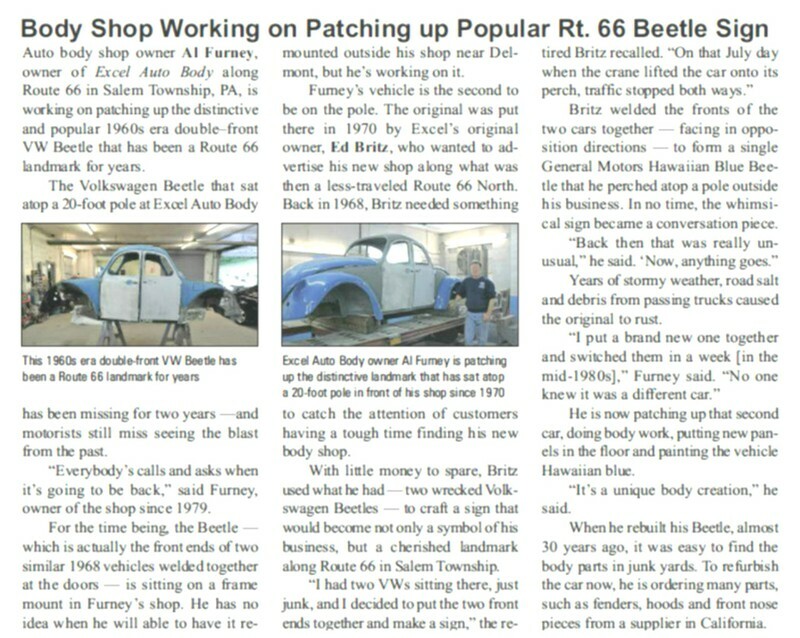 guides his 1965 Volkswagen beetle creation to rest on a sign post outside his shop along Route 66 on Tuesday . 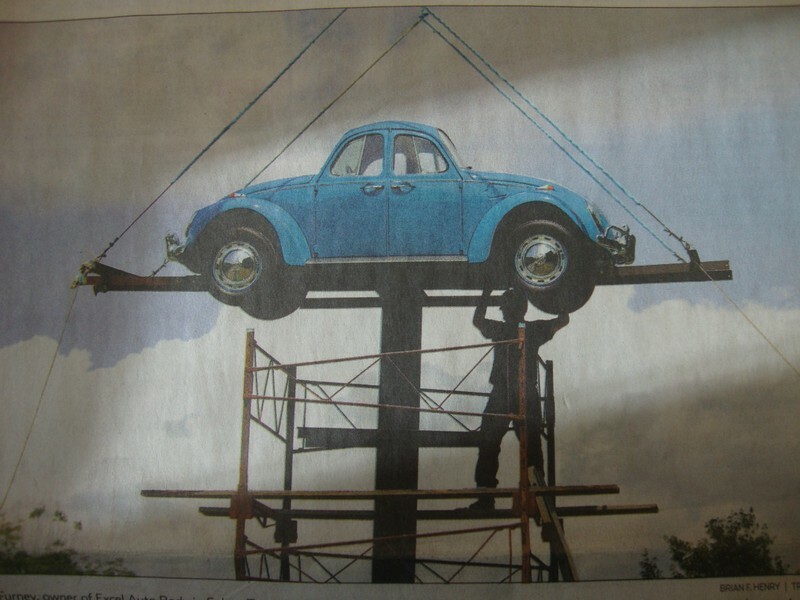 The car,which has become a landmark,was restored over the past thee years.